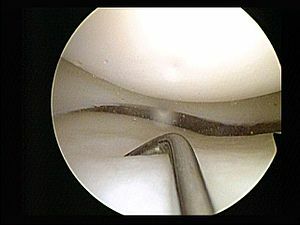 I had knee surgery a couple of years ago; a minor clean-up of my medial meniscus. He was right. I was traipsing all over India in a few weeks and back to playing basketball again within a couple of months. One night during my recuperation, I started thinking about the knee. It’s a very flawed design, full of serious structural problems. Almost I want to say the knee is a botched job. Anyway, a poem started to form in my head and I did something uncharacteristic: I wrote it down. Usually, I work on poems in my head for a while before putting them down on paper. Then I did something else that was atypical: I included it in a batch of poems sent to the American Poetry Review, one of the most prestigious poetry publications in the country, which happens to be published here in Philadelphia. Ordinarily, I wait for several drafts before sending my new poems anywhere, a process that can take months or even years. improved the knee one wit. San Francisco is famous as a great poetry town. As it should be. But move over, San Fran: Philadelphia should be as famous for poetry as it is for cheesesteak and Rocky. Philly is a bursting cauldron, a dizzying maelstrom, a chorusing kennel, yea, a mad laser light show of verse. This area offers renowned journals such as the American Poetry Review and a whole raft of vibrant Web sites for poetry and literature, such as the Fox Chase Review and the Wild River Review. Besides its series of readings by the world-famous, the Free Library also offers Monday Poets, a reading series/open-mike (where all comers can read), on the first Monday of every month from October to April. It’s in the Skyline Room of the Central Library, which, says coordinator Amy Thatcher, “has got to have the best view of Center City” in town. For next year, she’s looking for good poets from all over the area.